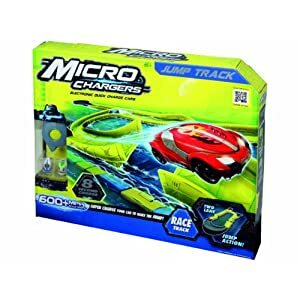 Micro Chargers are great fun, They are teeny tiny little cars that you charge in a little hand held device then set racing, They don’t half zip along! With innovative micro technology, these tiny vehicles can apparently race at scale speeds of over 600mph….incredible! There are several sets that you can buy. There is the Loop Track set (£19.99) which mixes the thrills of a drag race with the loop the loop. In the Jump Track set, which we reviewed (£24.99), racers try to make the jump as they speed round the track. The idea is after a number of laps, you flip up the trap and the first past the post zooms in to the winner’s enclosure . It is great fun. It charges up in only 5 seconds for 30 seconds racing. Contents: 1 x Jump Race Track, 2 x EXCLUSIVE Quick Charge Micro Car, 1 x Hand Held Charger, 1 x Trading Card, Assortment of 3, Requires 2 x AAA batteries, not included.. Suitable for ages 6 and above. There are 36 different cars to collect with a range of Straight and Stunt racers. 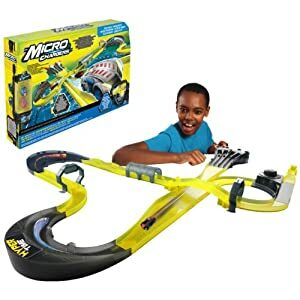 All track play sets connect together to build the ultimate Micro race track . 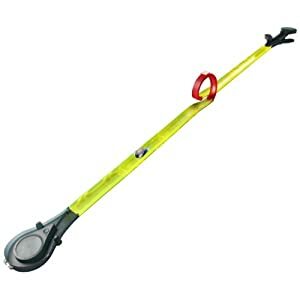 This product is by Flair. Next Post Would you like to win a pair of cufflinks that you have designed yourself?